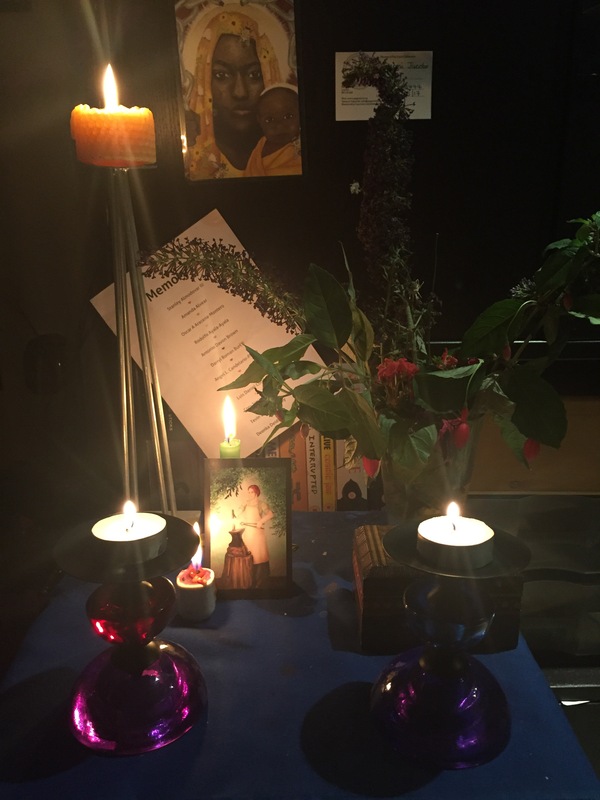 This entry was posted in Beliefs, Hospitality, Polytheism, Practice, Religion, Social Justice, stories, Work and tagged cailleach bhearra, chaos and cosmos, deities, disability activism, duibhne, manannan mac lir, offerings, polytheism, social justice. Bookmark the permalink. Very powerful words, uttered from the depths of your truest self. I am struck by their passion and force. I am humbled by their power to affirm and challenge. If this does not seem like a flippant comment . . . when I was doing an adult ed course at a parish outside Boston, MA, on The Chronicles of Narnia, I asked the participants to share the gist of the missing eighth book. After they were done I shared mine: As the everyone got further into Narnia at the end they discovered that the one really in charge was Aslan’s sister!! Yes, the participants were uncomfortable, shocked and reflective. Thank you, quite possibly I will, I’m still working out what it is :-) I know my calling though and looking back am quite disturb find that its bben there since´I was about 12. Yes – I need a better grasp on more of the history of that. I’ve learnt a lot from my colleagues (and my thesis supervisor, who did her thesis on how myth has been used in Europe since the Romantic period, which is incredibly interesting – although she is so hard to read!) But I need more detail. So I’d be fascinated to read anything you write on the subject. I wish I could put words to what I’m feeling right now, but this is resonating with me in a really big way. Thank you so much for sharing!